Attacks on mobile devices are growing at an ever increasing pace. Security experts from Kapersky Labs reported an unprecedented 323,374 new mobile malicious programs in the third quarter of 2015 alone, a threefold increase from the first quarter. The Internet of Things (IoT) is increasingly vulnerable to unauthorized manipulation of devices. From recent demonstrations of taking over control of connected cars, to the hacking of smart meters, most experts consider security to be the greatest challenge for IoT’s expansion into the mainstream. 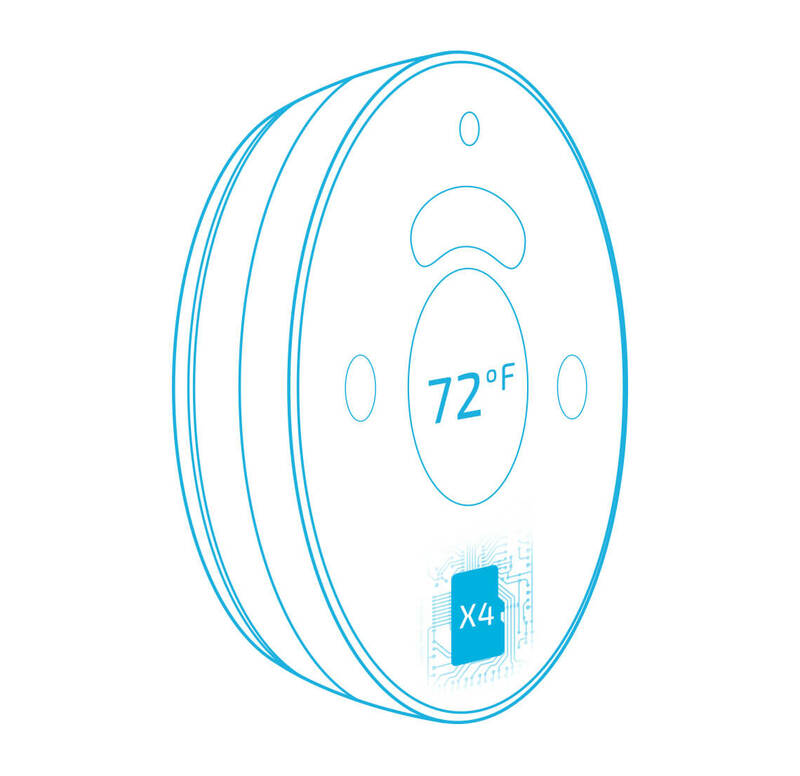 Bluechip is actively developing solutions that work with devices such as smart meters to securely store and transmit data from sensors in the X4 encrypted BlueVault. BlueSDK will allow developers of IoT devices to similarly secure their data at rest and data in transit. Usage of drones in has exploded in the last five years, with applications in military, police, agriculture, building inspection, filmmaking, journalism, and many others. Unfortunately, the vulnerability of seizing control of drones has also increased apace. 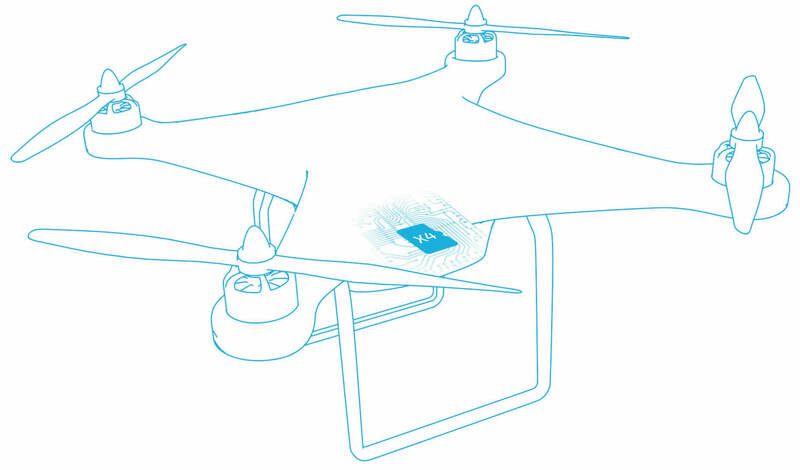 With Bluechip X4, drones can encrypt their ground to air traffic. Similarly, BlueVault can ensure the data captured by a drone is fully secured in an encrypted partition in the event of crash, seizure, or loss of the aircraft. Digital cameras have a wide variety of uses by government agencies, corporations, journalists, and other entities that need to ensure their captured imagery remains safe and unaltered. 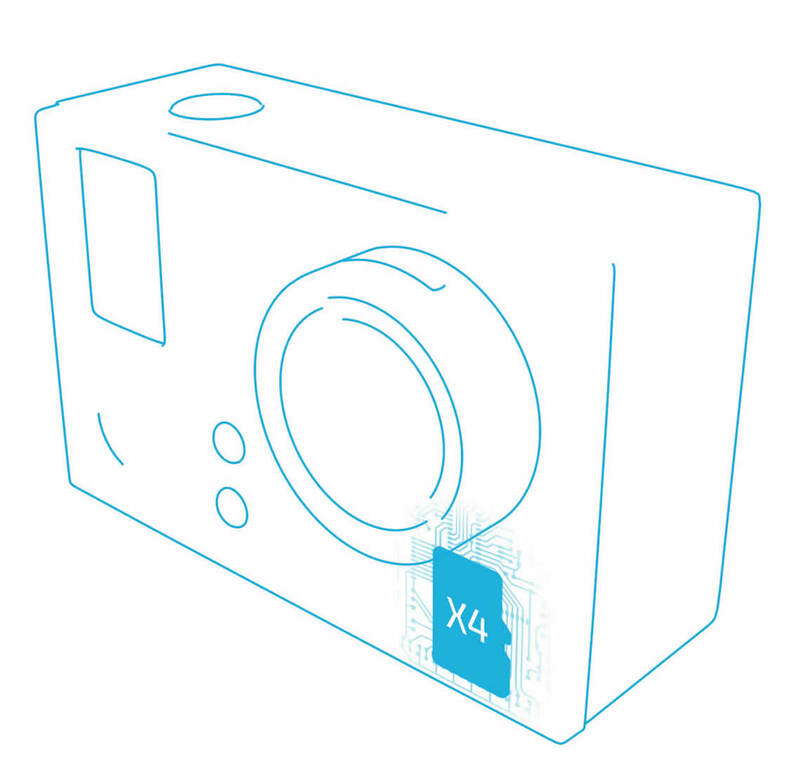 Using Bluechip X4, image data captured by GoPros, body cams, and other cameras is securely moved from an open partition to the highly encrypted, fully hidden BlueVault. 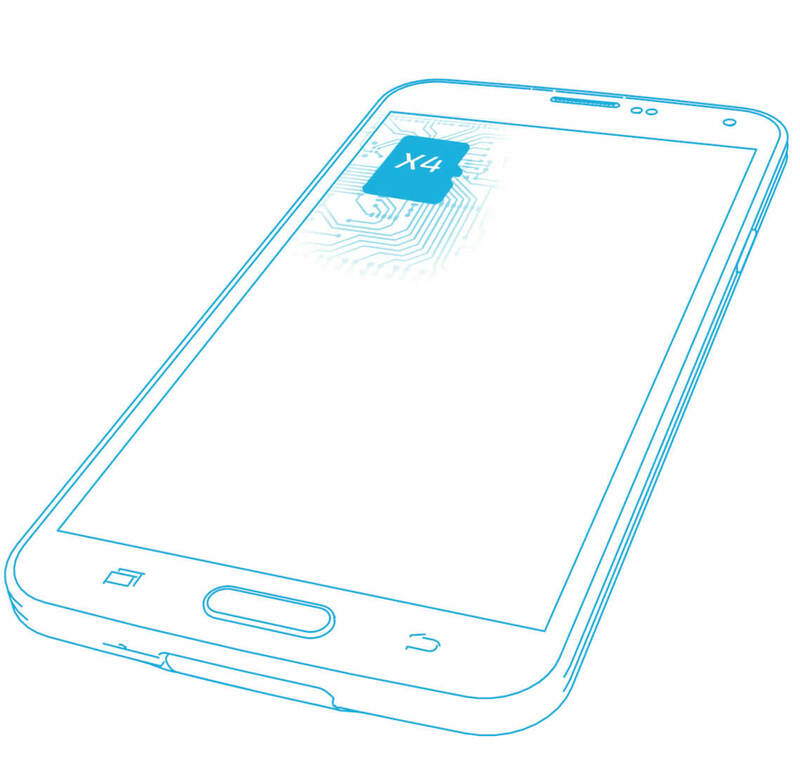 The combination of Bluechip X4 and BlueVault guarantees that only applications using BlueSDK with the appropriate keys can access this data. A complete chain of custody is maintained to ensure no image data has been manipulated after capture - for forensic purposes. A new generation of wearable technology is evolving that features wireless communication independent of smartphones and the ability to add storage via MicroSD. 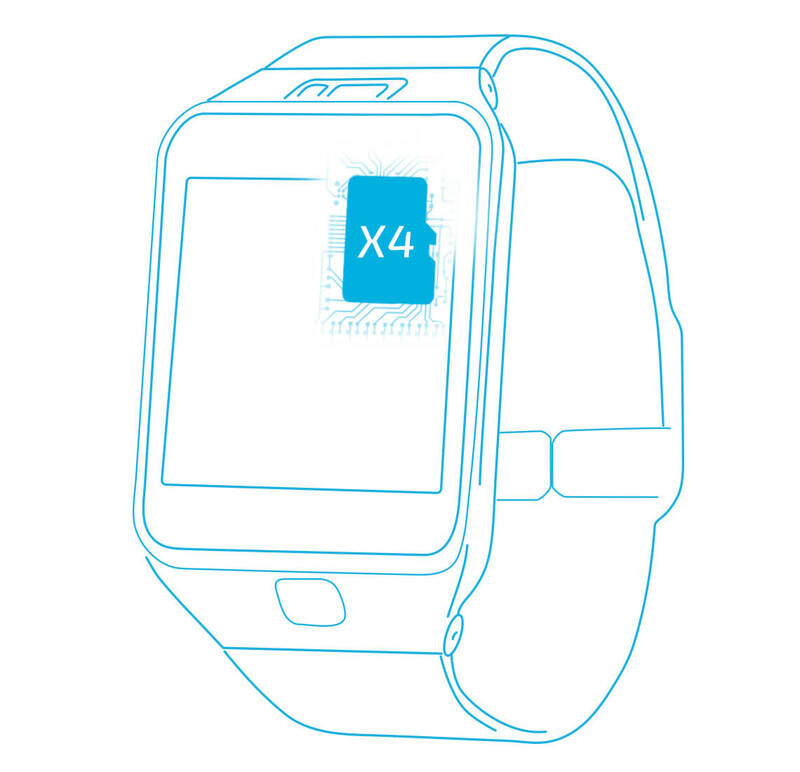 Bluechip X4 is uniquely poised to supercharge the next generation of wearable applications by adding computational capabilities, and securing critical personal health data both at rest and in transit. Copyright © 2019 Bluechip Systems. All rights reserved.